Shall we meet at the Secret Garden? The summer pop-up of the season is here. Crowne Plaza Queenstown invites you to enjoy that perfect tropical ambiance in our outdoor Courtyard this summer. Indulge and bask in your summer weekends with us. 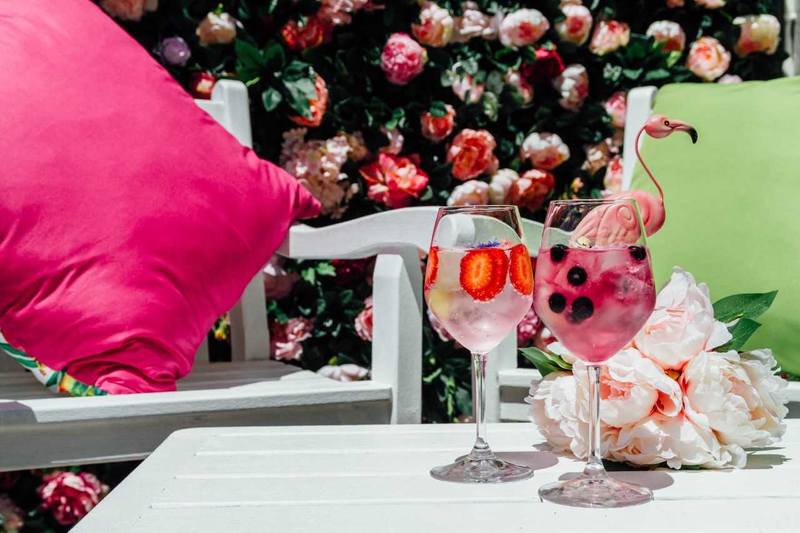 We're partnering with Gordon's Premium Pink Gin serving up delicious cocktails for you to enjoy. Open throughout summer, every Friday and Saturday from 3pm-8pm. You'll find us at Crowne Plaza Courtyard (Level 3). Access is available via Shotover Street. Follow our Facebook Event to stay in the loop. This tropical garden party would not be complete with some light cocktails. Get ready to taste some of Gordon's Premium Pink Gin mixed as we take you through a cruise of delicious fresh cocktails. We'll also be serving drinks such as Emerson Beers, Mount Difficulty Wine and more to add some variety to your summer experience. With a drink in hand and a plate in the other, relax and unwind to some live music that will be sure to heighten your experience. Please Note: In the event of incremental bad weather the Secret Garden may be cancelled. Please check our Facebook Page for any unforeseen cancellations. Copyright © 2017 CROWNE PLAZA QUEENSTOWN. Please select your preferred time. Note that our buffet closes at 3 PM. Please select your preferred time from 5.30PM. No, thanks I just want to win this! To unsubscribe, please click the unsubscribe button on the email.